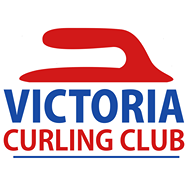 The Victoria Curling Club will be hosting the Island Mixed Doubles regional playdown this weekend. Draw times are 8:00pm Friday; 10:00am, 2:30pm, 7:00pm Saturday; and 9:00am, 1:00pm, 4:00pm Sunday. Feel free to come down to the Club and cheer on the local teams in the competition. The Stone’s Throw Lounge will be open during the weekend, with bar sales commencing at 2:00pm on Saturday, and 11:00am on Sunday.